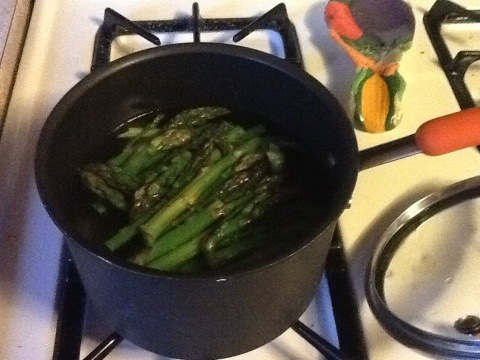 I wrote about growing Asparagus yesterday, and here is yet another way to eat it. 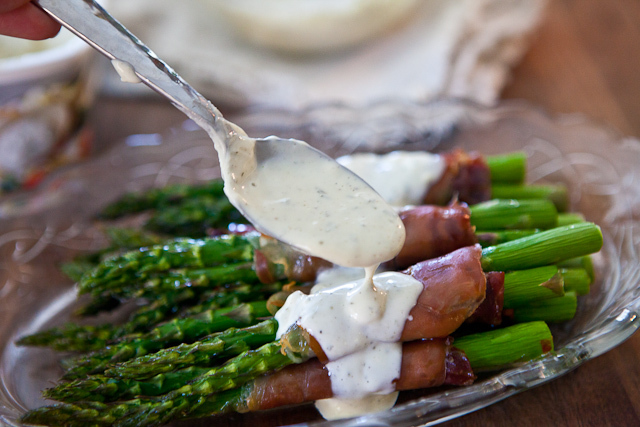 Asparagus wrapped in prociutto makes a very nice light lunch dish to serve at a lunch party with a salad. It's a great way to make use of local asparagus when it's in season. This recipe comes from steamyitchen.com . There are lots of terrific photos explaining every step of the way, so it's worth checking out. My only objection is the processed cooking sauce that's used. I prefer to use my own home made one. That way I know what's in it. 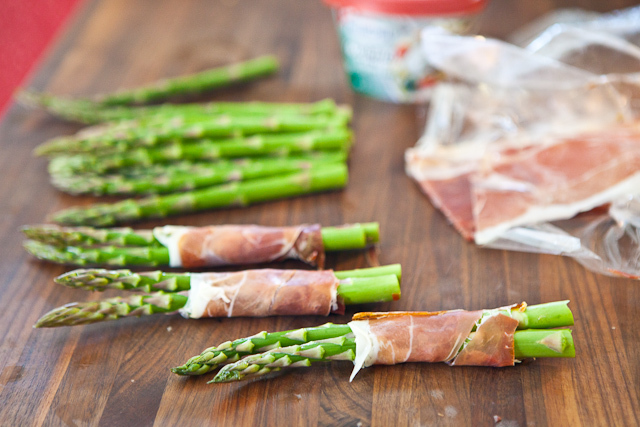 - Wrap 2 or 3 asparagus spears with a slice of prosciutto. Place spear on a baking sheet. 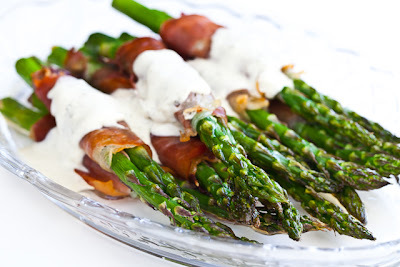 - Drizzle olive oil on the tips and ends of the asparagus, avoiding the prosciutto. - Roast for 8 to 10 minutes, until the asparagus is cooked through and the prosciutto becomes crispy. - Heat the cheese sauce and drizzle some over each portion. Serve immediately. This recipe is also quite delicious without the cheese sauce. Can't find prosciutto? Order some online. 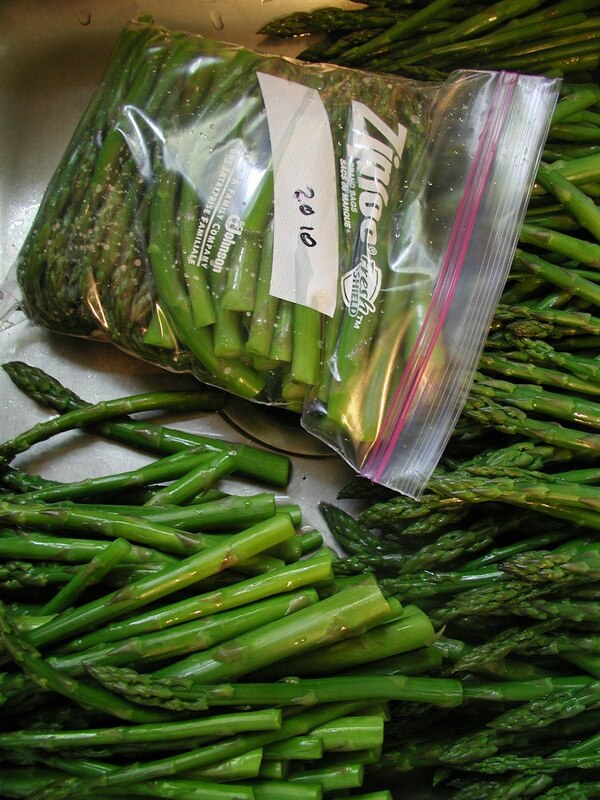 Fresh asparagus is usually only available for short while in the spring, so if it grows in your area, freezing some for use during the rest of the year is a great idea. 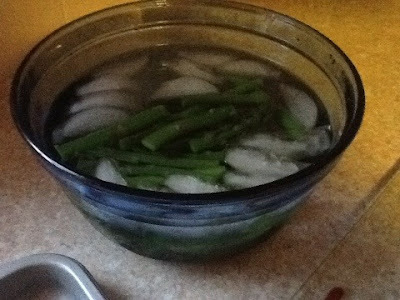 Unlike tomatoes and most other vegetables, it does require blanching, but this is not as complicated as it sounds.